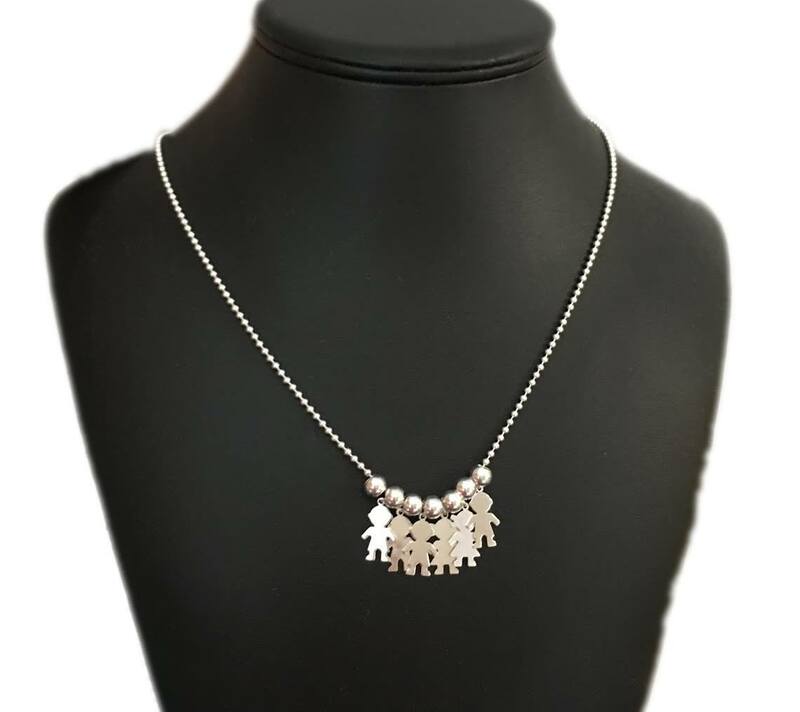 This necklace has little girl and little boy charms (.925 sterling silver). We have little boy charms, little girl charms, carriage charms, teddy bear charms, shamrock charms and cross charms are also available. You will get a free spacer bead in between each charm you order. You may add Birthstone Crystals for each child, during the ordering process below. This necklace starts at $29 with 1 charm. You choose the length and style of the sterling silver necklace chain. We offer Rolo Chain, Snake Chain, Ball Chain (all are sterling silver chains) and a black leather necklace. The necklace lengths range from 18"-36". You choose the style and length during the ordering process. You may add as my kid charms as you would like... here are some pictures. 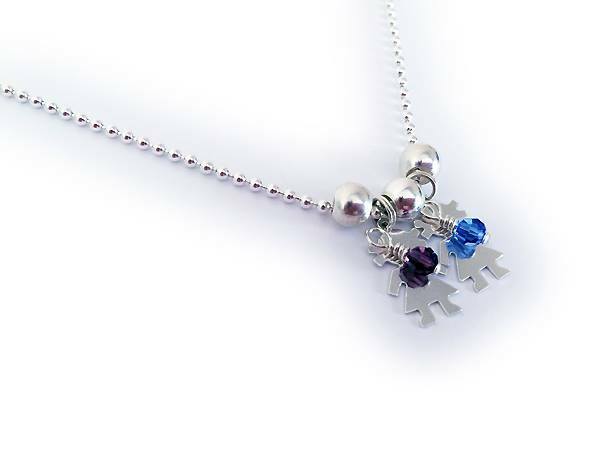 Boy & Girl Charm Necklace with Birthstone on a Ball Chain necklace. 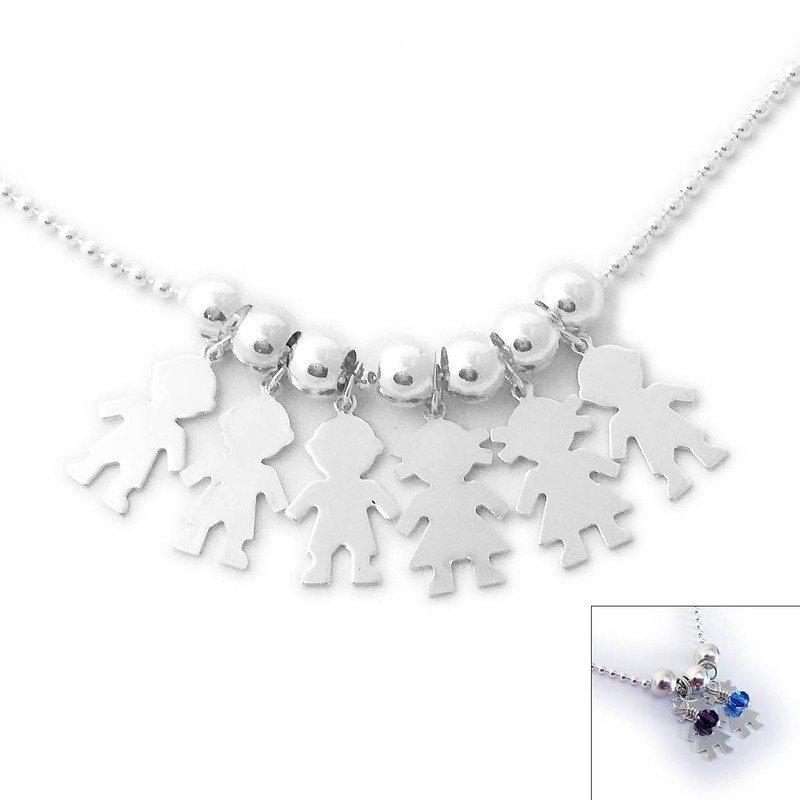 Boy & Girl Charm Necklace shown with 6 kid charms on a Ball Chain necklace. 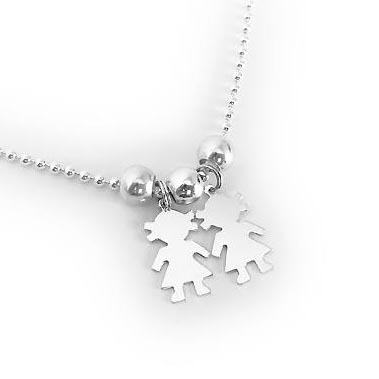 Girl Charm Necklace shown with 2 girl charms on a Ball Chain necklace.